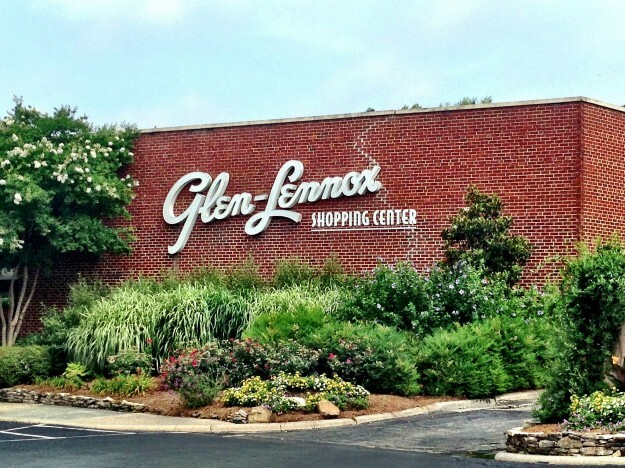 The Chapel Hill Town Council unanimously approved a development agreement for Glen Lennox on Monday night. The council also voted 5-3 to conditionally approve entering the negotiation phase with East-West Partners, which seeks to develop 120 acres at the Obey Creek site. That’s developer Roger Perry of East-West Partners, imploring the Chapel Hill Town Council on Monday night to make a decision on whether to enter into a negotiation phase with the aspiring developer of Obey Creek. Monday night’s five-hour meeting was run by Mayor Pro Tem Sally Greene, in the absence of Mark Kleinschmidt, who was attending a Mayor’s Conference in Dallas. The contentious Obey Creek matter was on the agenda a few items down the list from Glen Lennox, and the mood in the room at Southern Human Services Center couldn’t have been more different when each one came up. That’s not to say that the Glen Lennox redevelopment project of Grubb Properties has always been a harmonious issue since it was first proposed in 2004. But on Monday night, developer Clay Grubb was praised for his collaborative approach with the town and his tenants. The proposed redevelopment will include new roads, additional housing and greenway. New office and retail space will be built along Fordham Boulevard and Raleigh Road. Molly McConnell has been a tenant of Glen Lennox Apartments for 15 years, and was once a skeptic about the development. When it was time for the council to weigh in, Councilperson Matt Czajkowski called the Glen Lennox process a “model” for other development discussions. The development agreement passed unanimously. The proposed 1.5 million-square-foot Obey Creek development, however, still has a long way to go. It would include 327,000 square feet of retail, with the possibility of a big-box anchor store. Somewhere between 600 and 700 residential units would be built, plus a hotel. All of that would cover 35 acres. The remaining 85 acres would be for public use, wilderness, and, maybe, a new school. There were a lot of public comments about the Obey Creek plan on Monday night, and many of them came from members of the Compass Committee appointed by the council to study and make recommendations on the proposal. All but one commenter urged the Council to wait until they had received and analyzed data before moving toward negotiations with East-West Partners. Czajkowski agreed, and added that he didn’t like the way he saw the process going so far. He said that neither the council nor the developer were listening to the public. That prompted this exchange with developer Roger Perry. Councilperson Maria Palmer sparked another heated exchange with Czajkowski when she told him that not everybody in Chapel Hill wants a smaller development. “There are people that are desperate to live in Chapel Hill,” she said, “who work here, who want just a little apartment, just a place to live. And they don’t think that the aesthetics of somebody who owns a piece of property a mile down, and wants to look at the water tower, or whatever, should be uppermost in their mind. She went on to say that if she could build a Costco on that land, she would. A motion was made by Councilperson Jim Ward to move to the negotiation phase with East-West Partners, subject to receipt and review of traffic impact, fiscal impact, and environmental impact analyses.